I've always been super careful not to push J and Miss K into running. Sure, they didn't have much say in the matter when they were babies and I took them on our stroller runs, but their constant, happy chattering and long, peaceful stroller naps showed me that they rather enjoyed it. In fact, all three of us loved our season of singing and squealing (them) and grunting and gasping (me) on the run. But, just like most good things, our stroller running chapter eventually (and very reluctantly!) came to an end, leaving me to once again spend most of my runs clocking solo mileage. Until a few weeks ago. 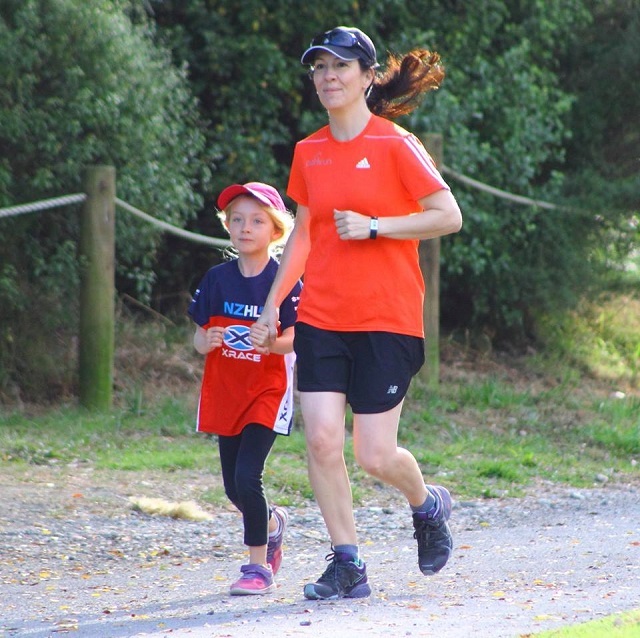 One Friday evening, completely out of the blue, Miss K asked if she could join me for parkrun the next morning. And while my heart instantly leaped with joy, I carefully explained to her that a 5K is quite far and that she had to make really sure that she felt up to the challenge. To which, of course, she promptly replied: "I'm ready!". Be still, my happy, thumping mama heart! Our run went exactly as expected. The first kilometer was a joyful conglomeration of jokes, giggles, and over-dramatic leaps over mounds of horse poop. After which the going got a little (okay, a lot) tougher. It was hot, 5 kays is far for a pair of tiny, unpractised legs, and there might have been a little mini-meltdown or two. But I loved every glorious second of it - horse poop, meltdowns and all. In true runner fashion, all hardship was instantly forgotten as the finish line crept into sight. We picked up speed, Miss K surged past me, and she crossed the finish line sporting the biggest, happiest smile. "So when can we do this again, Mom? ", she panted proudly. Not soon enough, Beautiful Girl. Not soon enough! much more, Please do keep up the great jo.